Doug Marrone plans to retain elements of the departed Mike Pettine’s defense. INDIANAPOLIS — The Buffalo Bills want to maintain more than a semblance of former defensive coordinator Mike Pettine’s system rather than expect Jim Schwartz to change it again. Capturing the actual sounds of Pettine’s defense might be their best shot at accomplishing that. Most of the voices and minds behind his system moved with him to the Cleveland Browns. 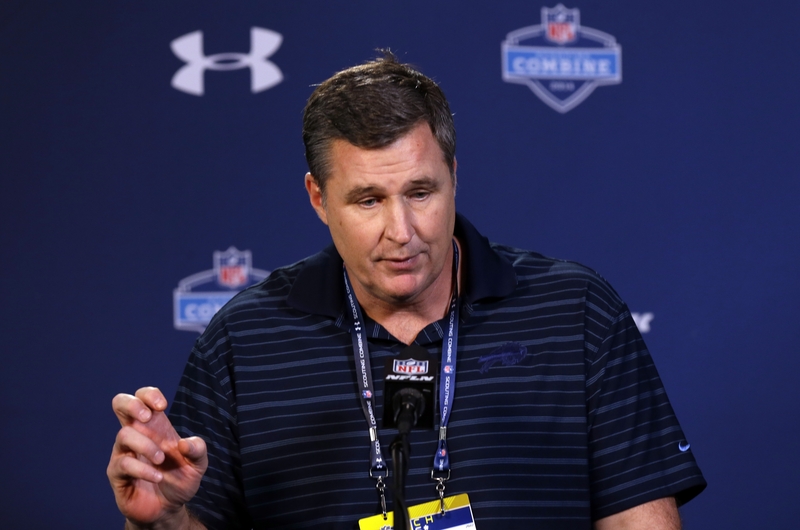 At the NFL Scouting Combine, Bills coach Doug Marrone indicated the defense shouldn’t change much more than it would have even had Pettine stayed and the Bills intend to carry over a lot of the play-calls and vernacular. “Some things we have to do is stop the run better, which we didn’t do a good job of last year. We all know that,” Marrone said. “Touchdown passes, we gave up quite a few. Some of the third-and-long situations … There was going to be change in those areas. “So I think there will be change. We’re smart. We’re looking to carry over some of the same language for our players. Again, we don’t want to totally trash one thing and come up with another. Marrone was asked how he planned to carry over Pettine’s successful defensive concepts – the Bills broke their sacks record and finished second in the NFL in interceptions – when Pettine took assistant linebackers coach Jim O’Neil, defensive line coach Anthony Weaver and assistant Jeff Hafley. Pettine also hired linebackers coach Chuck Driesbach, whom Marrone fired before Pettine took the Browns job. “The main thing that comes to mind is I worry probably more so about the secondary plays,” Marrone said. “We have the same secondary coach in Donnie Henderson, and that’s where a lot of the adjustments are made. “One of the things – and you talk about common language – you look at Donnie Henderson and you look at the career of Jim Schwartz and where they come from, they both” played under Cincinnati Bengals coach Marvin Lewis.